Do you love fine wines and find yourself longing for a special occasion to go to, a date night, or chance to get out and socialise, without the worry of how your little ones are being cared for at home? Who wouldn't want a fun care-free night out, just like you used to in your child-free days? Winederlust events in Canberra could be just what you're looking for. Designed with wine-loving parents (who have young children) in mind, each event offers a professional childminding service on site. Giving you the chance to socialise without the headache which comes with attempting to take your toddler out with you. For our first date night out in I don't know how long, my husband and I finally got to have adult conversations, sample some lovely wine and cheese and know that our daughter was enjoying herself nearby, with some other children for company, but also reassuringly under the watchful eye of professional childminders. There were even different beers for my non-wine drinking husband to sample. The City Lights Soiree launch night of Winederlust was held in a function room up the Black Mountain tower (the Telstra tower) offering stunning sunset views over Canberra city. The evening promised to be a superb mixture of wine tastings and food pairing and it certainly delivered. From a warm welcome to an excellent selection of wines, the team really went the extra mile. The evening showcased six different wines matched with international cheeses and canapes, all carefully chosen to bring out the best in the flavours. 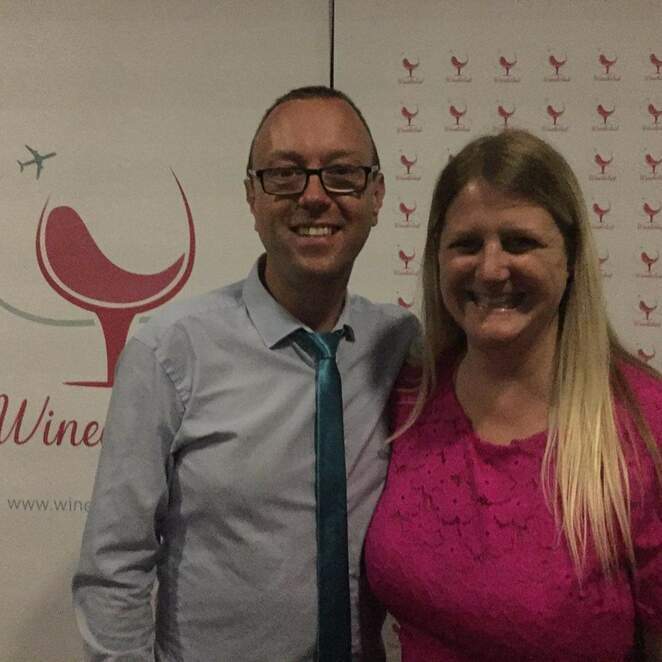 Not being a wine aficionado myself, I simply enjoyed the opportunity to talk to new people, try different wines paired with different flavours and enjoy a date night with a difference. Local artwork by Eleanor Neumann, Romany Fairall, Mimi Fairall and Patricia Reynolds were on display at the event, which added to the ambience. Winederlust is the brainchild of Canberra businesswoman Jeanene, who knows all too well the struggle of trying to enjoy some fine wine and have a decent dinner out with a young child in tow. Suffering from "Winederlust" herself, missing her pre-children days of travelling, wine tastings at vineyards and enjoying a quiet dinner out, she came up with the brilliant business idea. So Mums, it's time to organise a night out, with your husband, partner, or friend. These are the kind of events you will finally get to enjoy some good company and fine wine outside your home, have a chance to socialise with adults without constant interruption from your preschooler and at some events you will even get to eat a 3 course hot meal uninterrupted. Winederlust is the perfect solution for wine lovers who like to socialise but also have young children. All Winederlust events offer a dedicated child-minding service with qualified and experienced childhood educators (at an extra cost). The cost and location of Winederlust events vary. There will always be the chance to sample fine wines. With the option of pre-booking the onsite childminding service for ultimate peace of mind.